Mark your calendars people, Sunway Pyramid having Raya Tanglung 1Malaysia Parade. 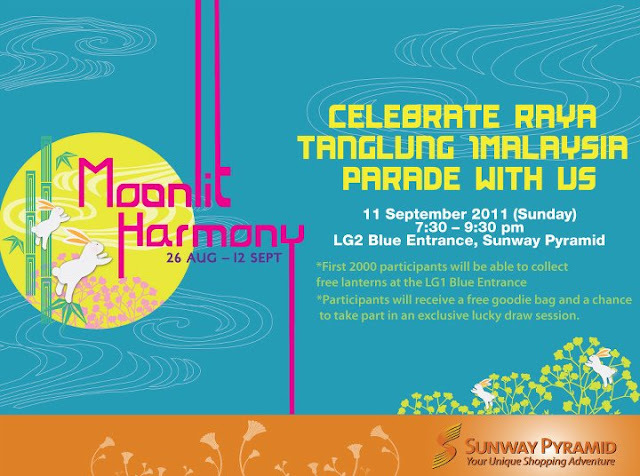 Come join the parade starting at LG1 Blue Entrance and you'll get free lanterns, goodie bags and a chance to win prizes in a lucky draw session! Limited to first 2000 participants only.